2018 is sure to bring new opportunities, fresh competition and plenty of surprises to Championship Wrestling from Hollywood. Here at HollywoodWrestling.com we want to take a look back at the action-packed year that was 2017. Who could have predicted that the first televised NWA Worlds Heavyweight Championship bout sanctioned by William Patrick Corgan would take place on CWFH? How about the debuts of Jack Swagger and Alberto El Patron? Or the returns of Brian Cage and Ray Rosas? Any of those could have been the most unpredictable moment of 2017, but not the most scandalous. That honor belongs to CWFH: Back to School Fight at the OHM Nightclub. Back to School Fight was a live event hosted by CWFH head matchmaker, Nicolas Marquez, and “Professional” Peter Avalon that was labeled “Too Hot for TV.” The evening featured plenty of action, including an inter-gender grudge match between Ruby Raze and Kevin Condron. Avalon himself wrestled in a Blacktop Brawl against the “Bad Boy” of Combat Zone Wrestling, Joey Janela. Marquez also put the CWFH elite to the test against some of the stiffest competition the world has to offer. In a failed attempt to take the Hollywood Heritage Championship away from his foe Bad Dude Tito, Marquez booked a match between Tito and “The Machine” Brian Cage. 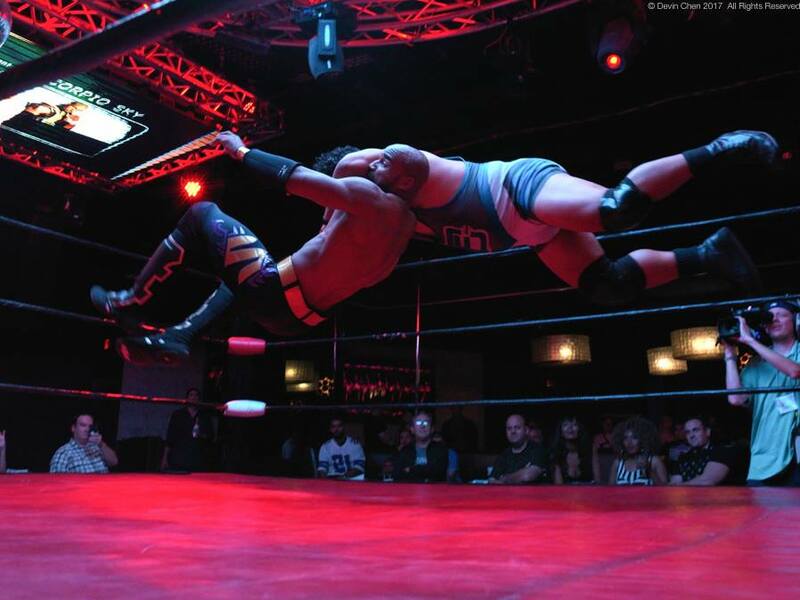 The Main Event saw Scorpio Sky earn the #1 Contendership to the United Wrestling Network Television Championship by defeating “Mr. Athletic” Jeff Cobb. But for those in attendance, nothing was more scandalous than the “Hot for Teacher Match” between Joey Ryan and Scarlett Bordeaux. Due to the “after dark” nature of the match, we’re not allowed to include photos from that spectacle on HollywoodWrestling.com. Let’s just say what happens at the OHM Nightclub, stays at the OHM Nightclub for this one. 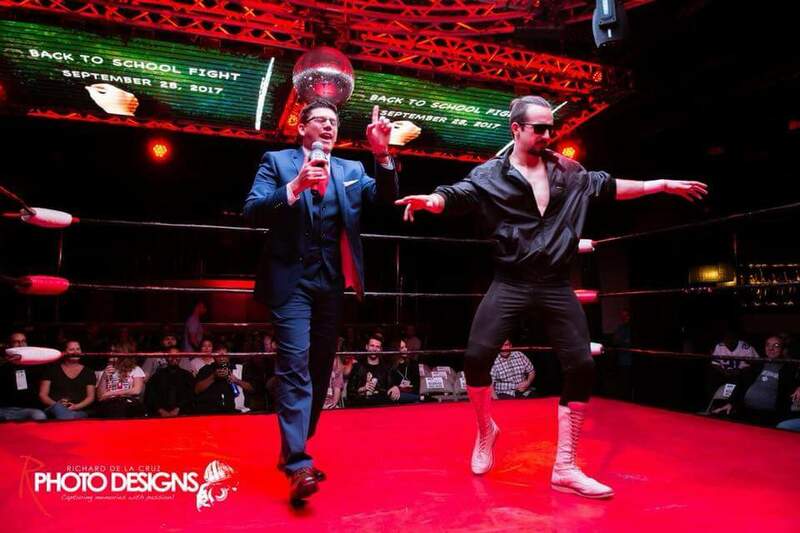 Who knows what live events 2018 has in store for Championship Wrestling from Hollywood, but we at HollywoodWrestling.com would love to see a return to the OHM Nightclub!